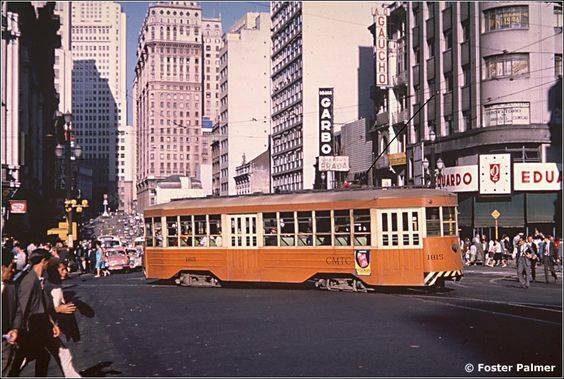 Lapa tram-car at its initial stop on Praça do Correio. 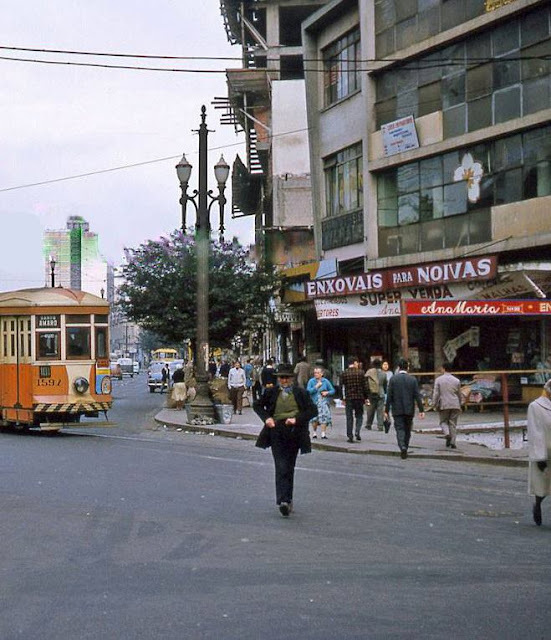 Avenida Liberdade with Rua Dr. Rodrigo Silva in the early 1960s. 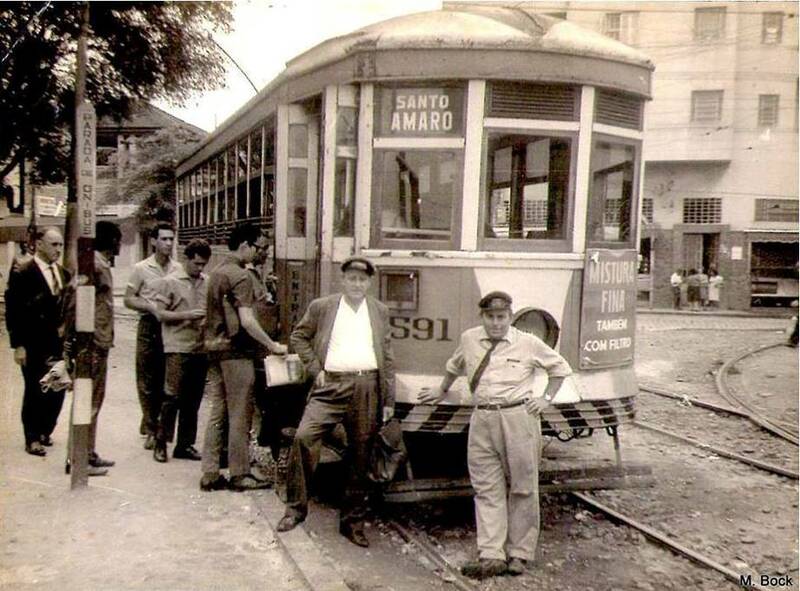 Santo Amaro-bound tram-car. early evening at Avenida Sao João in 1967 when most of tram-cars lines had already been terminated. 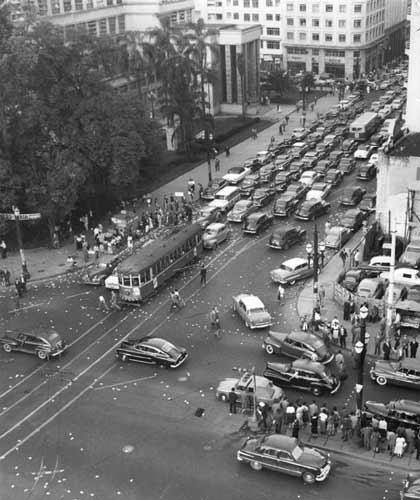 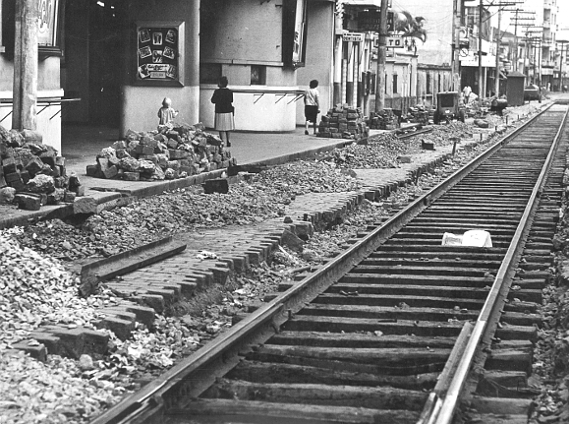 Avenida Domingos de Moraes in the process of being gutted in 1963; Cine Cruzeiro's on the left. 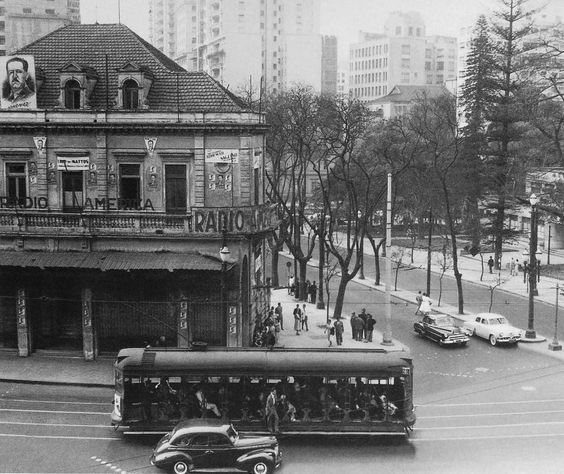 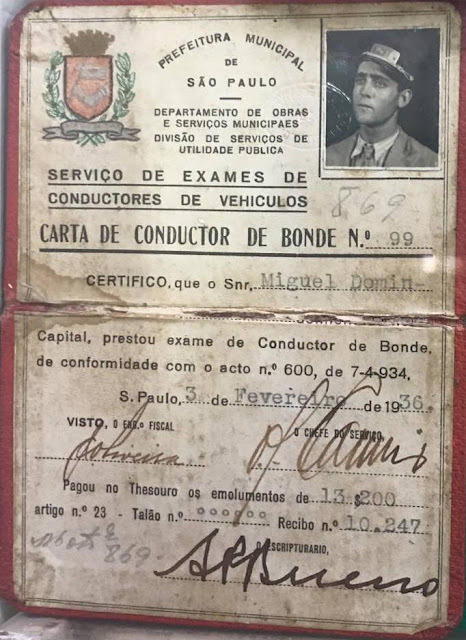 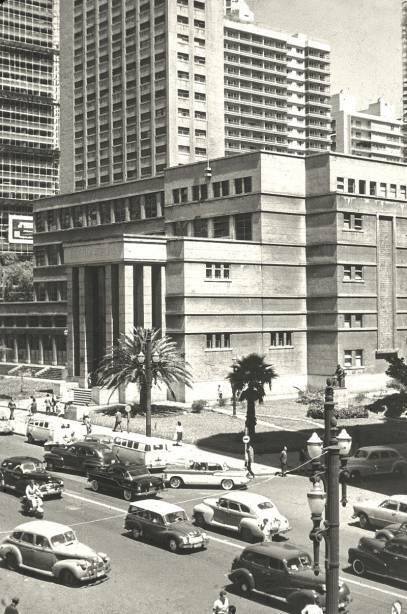 Biblioteca Mario de Andrade in 1950.
the tram car standing on Rua Xavier de Toledo and Avenida São Luiz is either tram car #28 Vila Madalena or #29 Pinheiros. 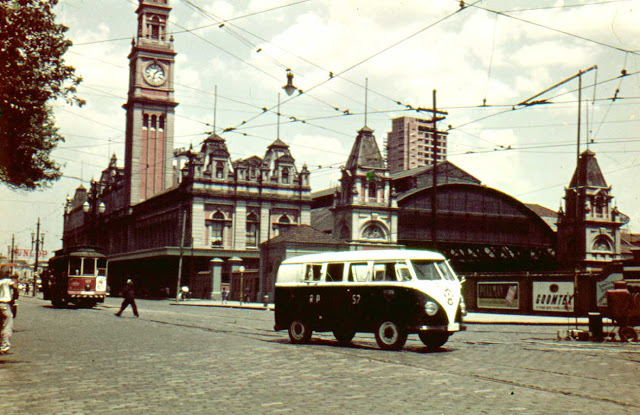 same photo with a sepia colouring and a better resolution. 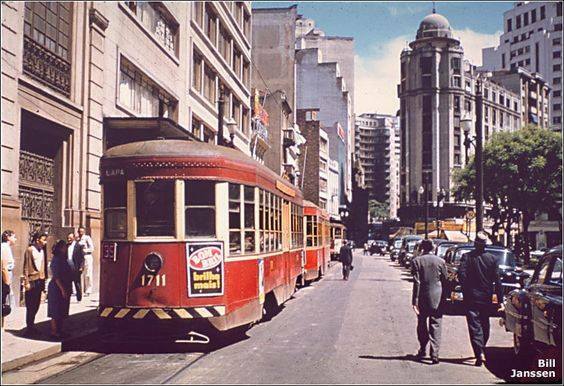 It's either late 1940s or early 1950s judging by the car models. 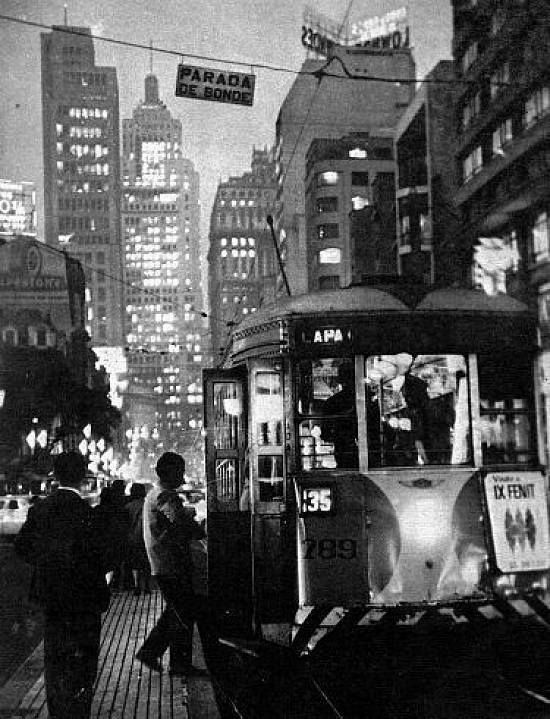 corner of Rua da Consolação with Avenida São Luiz... 1954... photographed by Antonio Aguillar. 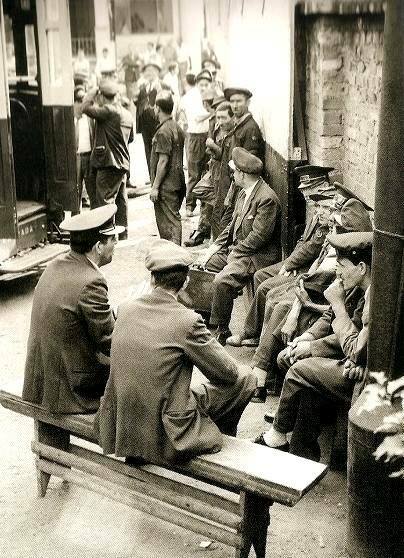 motorneiros (motormen) chat in the depot before starting work - 1960.
going all the way to Santo Amaro the farthest place a tram car could reach in the city of Sao Paulo. 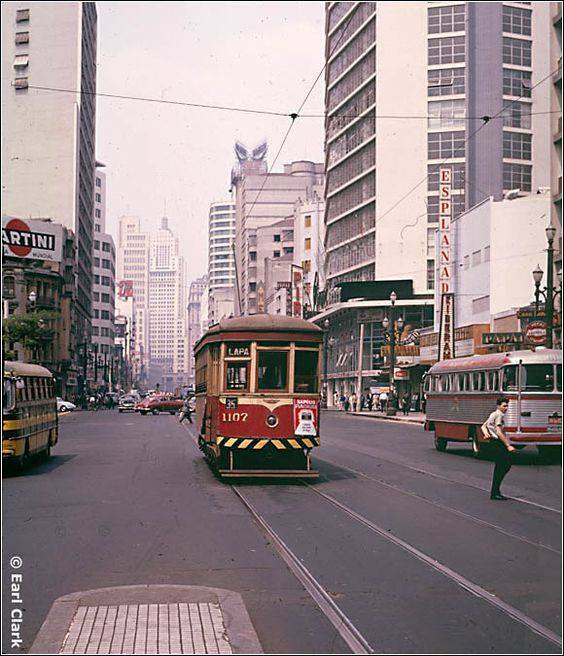 some time in the mid-1960s. 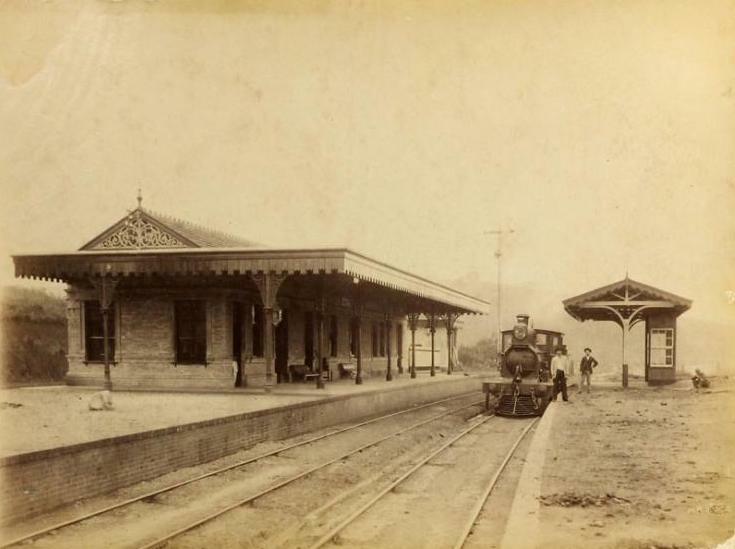 Pirituba Sao Paulo Railway station in 1899.